Denver Startup Week will quickly be here! Starting on September 12th, Denver Startup Week is a community-driven weeklong event to celebrate everything entrepreneurial in the Mile High City. This year focuses on six concurrent tracks of programming  Founder, Developer, Growth, Product, Designer, Maker – with events that include sessions, presentations, panels, workshops, happy hours, social events, job fairs and much more. You have assembled a stellar founding team. You have built a game-changing product and/or service. You have signed a few clients and, low and behold, you are now generating revenue! The foundation is set. And with the right moves, this startup can be a real company. Now what? How do you effectively move from ideation phase into the business phase? How do you manage the rapid growth and scale you’ve always dreamed about? This panel will explore the best practices needed to scale an effective team, product, revenue, and overall successful organization. Location: Galvanize (Golden Triangle), located at 1062 Delaware St.
Google and Facebook now garner the lion share of all digital media spend. What does that mean for publishers, agencies, brands and ad tech providers? Has the marketer lost control of the consumer connection? What does it mean for your start-up’s marketing plan? In this panel Peter Bassett CEO of Augur, Keith Pieper VP of Technology at IMM, Greg Smith President and COO at MediaShift, Andrew Fischer CEO of Choozle, Alex Yoder CEO of Trueffect, and Aquiles La Grave Founder & CEO of Brandzooka discuss the digital marketing trends that are going to affect your business. Get introduced to Customer Service/Support vs Success and several ways of looking at support the Customer experience as you grow your company. It can either sneak up on you or you can lean into a strategy using lessons learned by other startups. Amy Mustoe, Customer Champion at _SendGrid and Rachel Mimken, Client Success Director at Choozle will deliver practical takeaways that startup founders, engineers and customer support teams can start using immediately. You Have Built a Successful SaaS Application: Now What? Join us for bagels and coffee to kick start your Thursday morning. This session dives into the fact all SaaS tech companies will reach this crossroad: you have built a successful SaaS-based platform, but how do you make it indispensable for the end user without sacrificing the product? 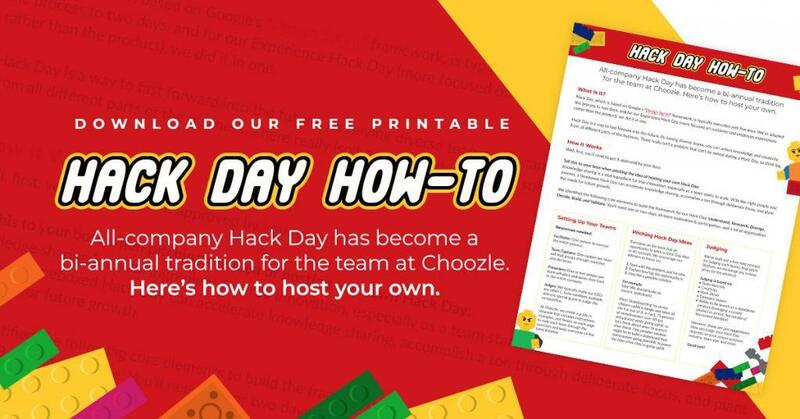 In this session, the Choozle team will share a case study on their user engagement and how that guided opportunities to increase retention and user satisfaction. This session will include members of all departments including: design, engineering, client services, marketing, and sales. We hope to see you at Denver Startup Week!